It costs on average $42,000 annually to support just one of our seminarians. To cover the cost of One Day of formation, you would only need to pledge $10 per month for one year. 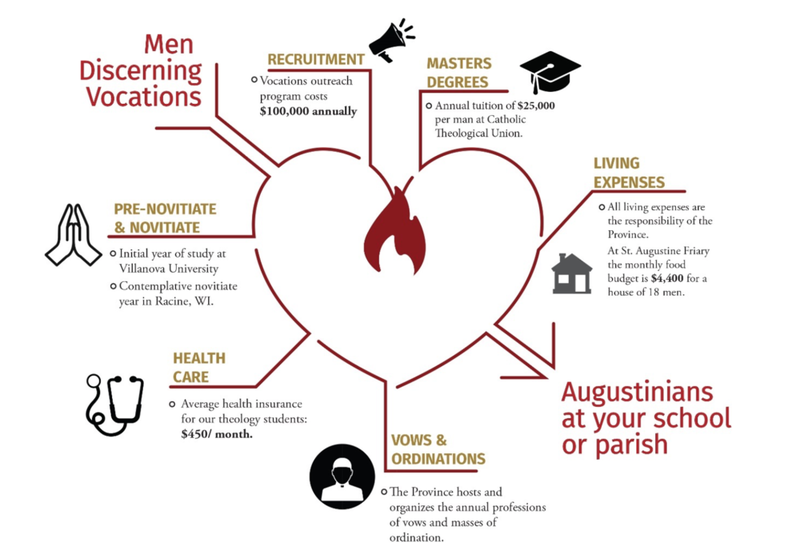 The St. Augustine Friary, a house of 18 men where our theology students live, has a monthly food budget of $4,400.